To understand and hopefully combat the threat of the Vespa velutina Asian hornet we should foster relationships between scientists and beekeepers alike. 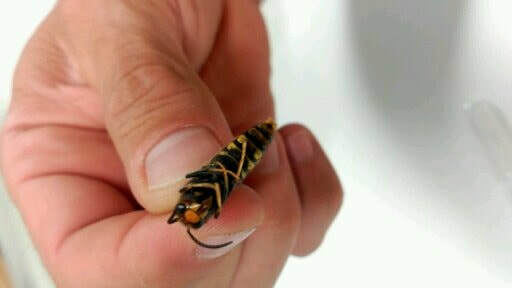 We aim to provide Information about the Vespa velutina nigrithorax Asian hornet also known as the yellow-legged hornet. The Vespa velutina nigrithorax (VV) is an Invasive Alien Species that first arrived into Europe in France during 2004 and is currently present in France, Italy, Spain, Portugal, Germany, Belgium and The Channel Islands. It has also recently been found in the United Kingdom and Switzerland. The Vespa velutina Asian hornet should be a worrying concern for all, not just beekeepers because this invasive species is a predator of various insects including pollinator insects. The Vespa velutina Asian hornet as pictured in Xesús's hand has the ability to cause significant losses to bee colonies and potentially other native species and have been identified as a high-risk non-native species due to their threat to native biodiversity. So what would life without pollinators such as honey bees mean? Historically beekeepers have generally been the ‘eyes and ears’ in the early detection of this pest. However taking facts into consideration, and their given threat, things needs to change. Now is the time that we should all start working together to try to reduce or stop the spread of this invasive species by way of educating the public and making everyone aware of what the Vespa velutina looks like. You can find out more about the Asian hornet and what they look like on our Vespa velutina page. ​The Vespa velutina is a fast spreading, highly aggressive predator posing a significant threat to honey bees and other insects. In Northern Spain (Galicia) the Vespa velutina there was an allarming spread from 2 to 10’642 nests in only 4 years. Research shows that other countries previously invaded have failed at attempts to prevent and control their spread. The invasive Vespa velutina also known as the Asian wasp, Asian hornet or Asian predatory wasp is working its way across Europe and was first sighted in the UK in September 2016 where a nest was destroyed. The following courses are available for in-house training. If you have any specific questions or concerns regarding the Asian hornet, you can arrange for a meeting, consultation or Q&A interview sessions in person or via email/phone or Skype. Alternatively you may wish to arrange a tailor made training programme. ​Arrange a meeting, interview, consultation or tailor made training session in person.